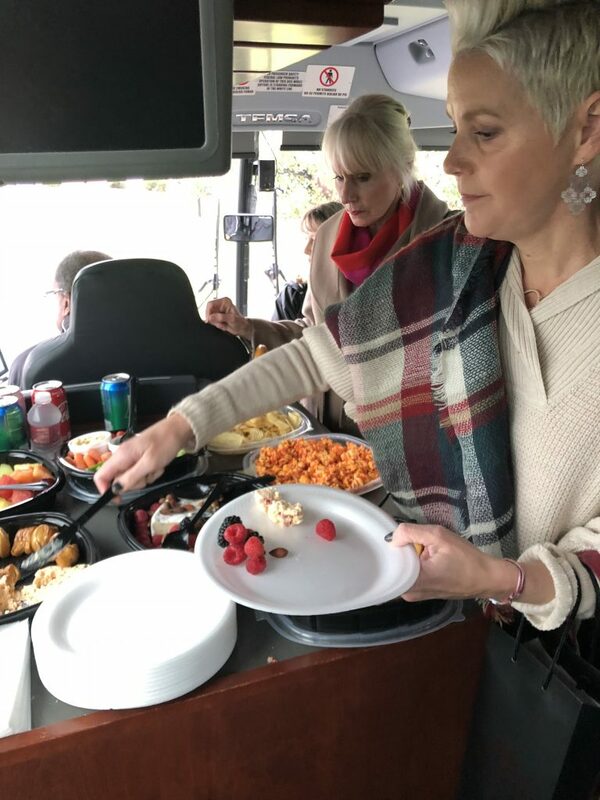 We started our day off meeting up at The Paddocks where we began our journey on a luxury bus from R&R Limo. 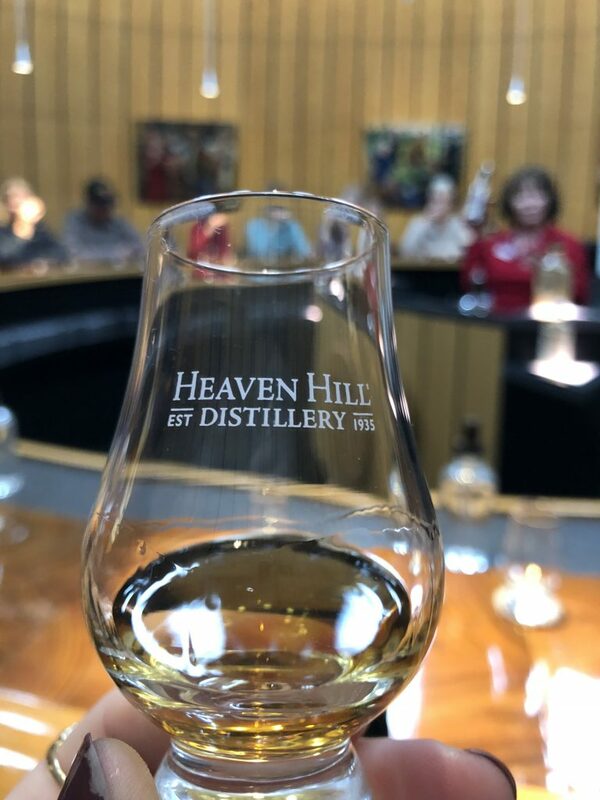 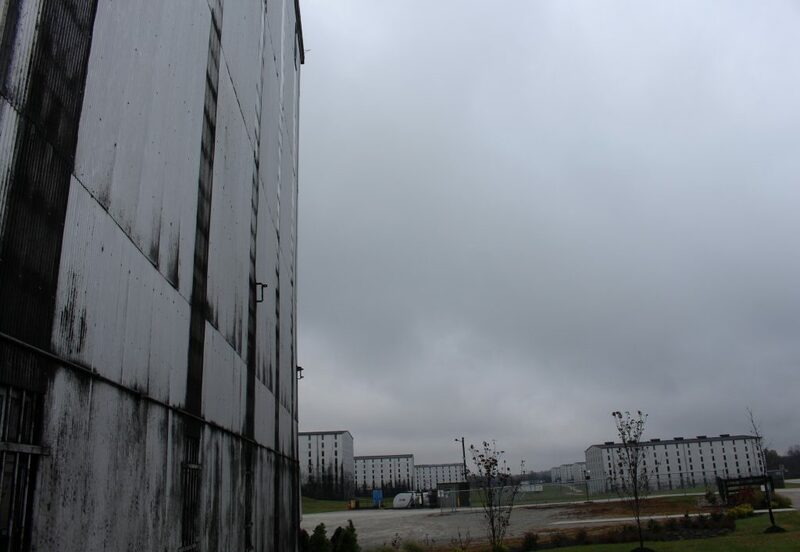 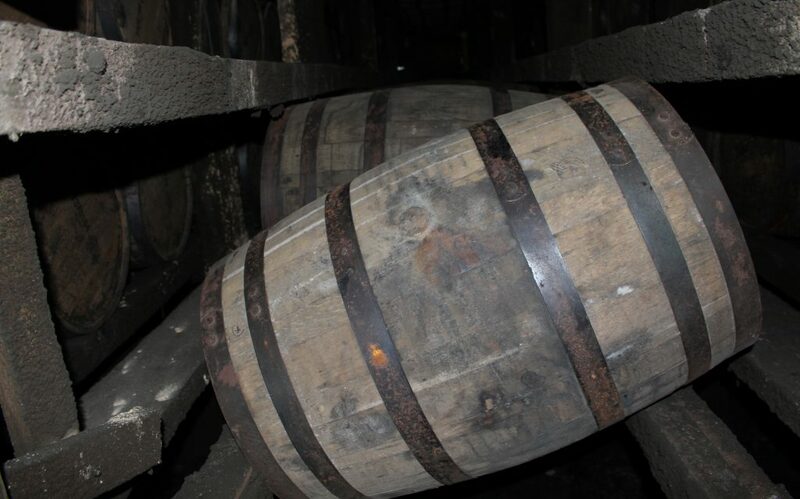 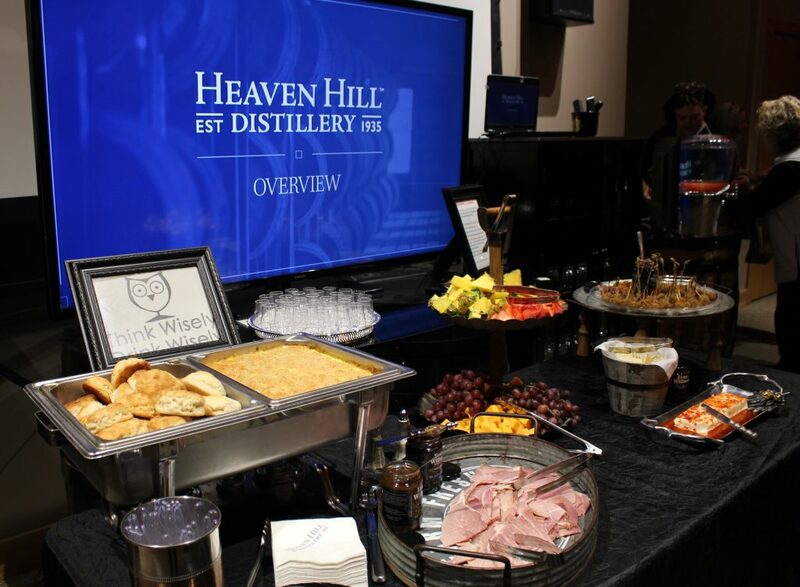 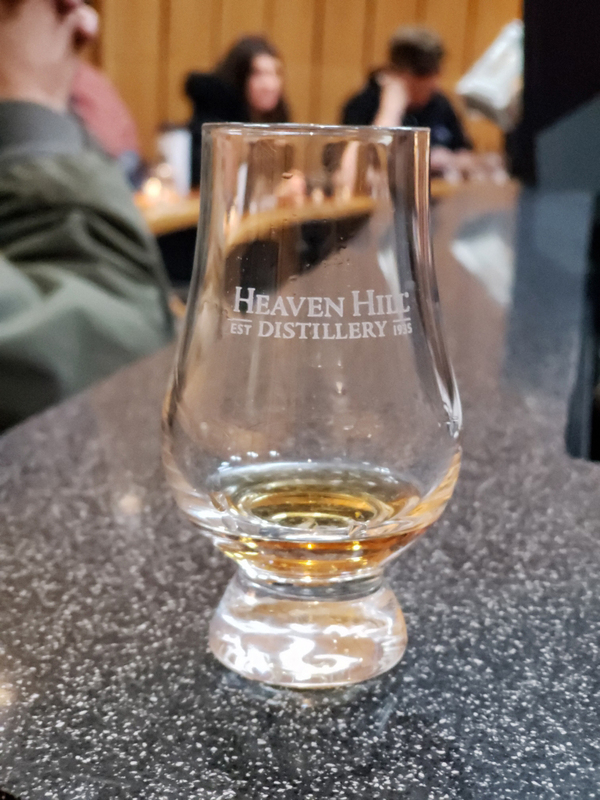 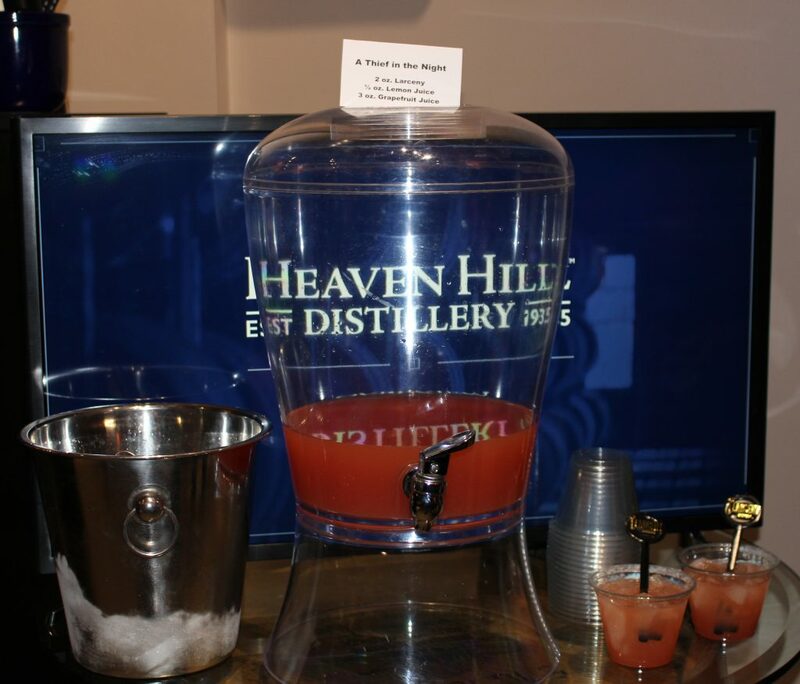 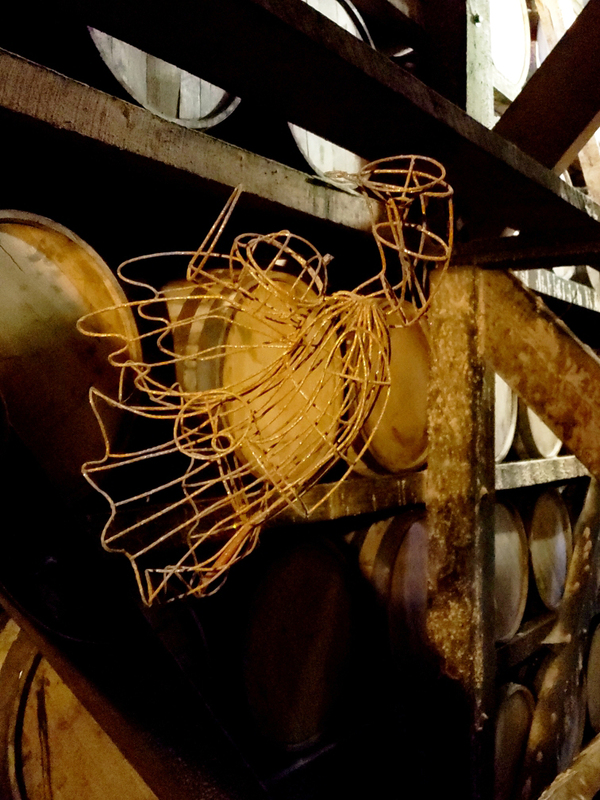 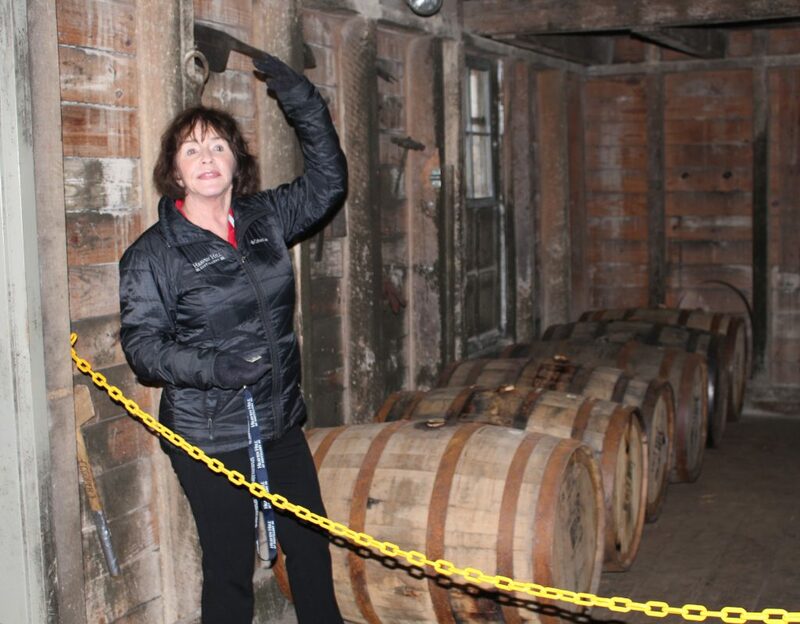 As part of our tour, experienced the independent spirit and artistry of Heaven Hill. 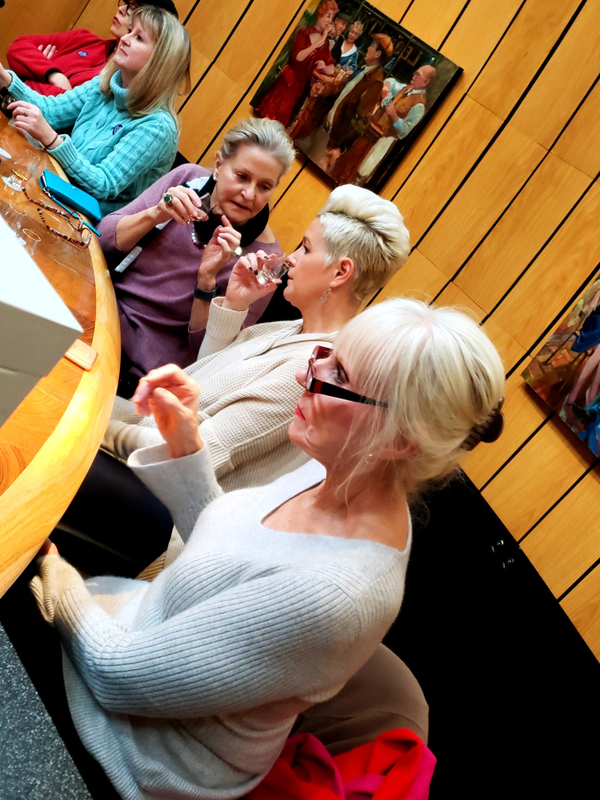 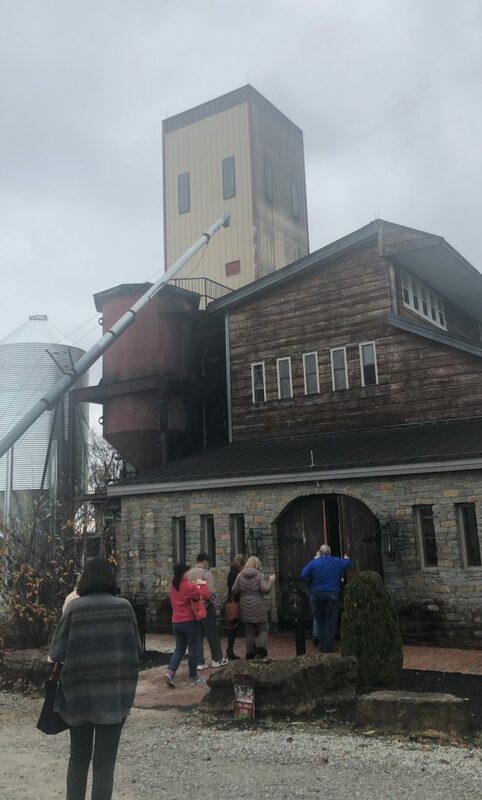 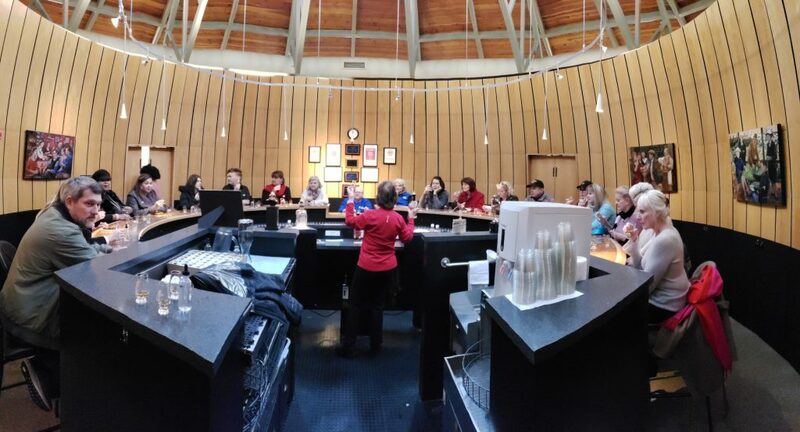 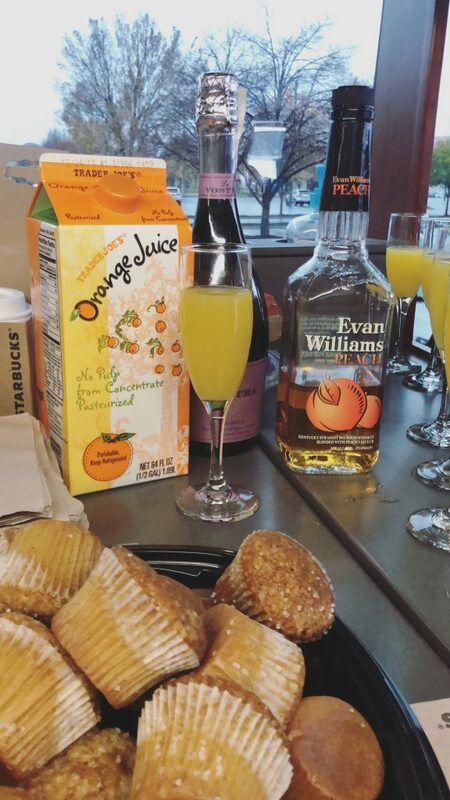 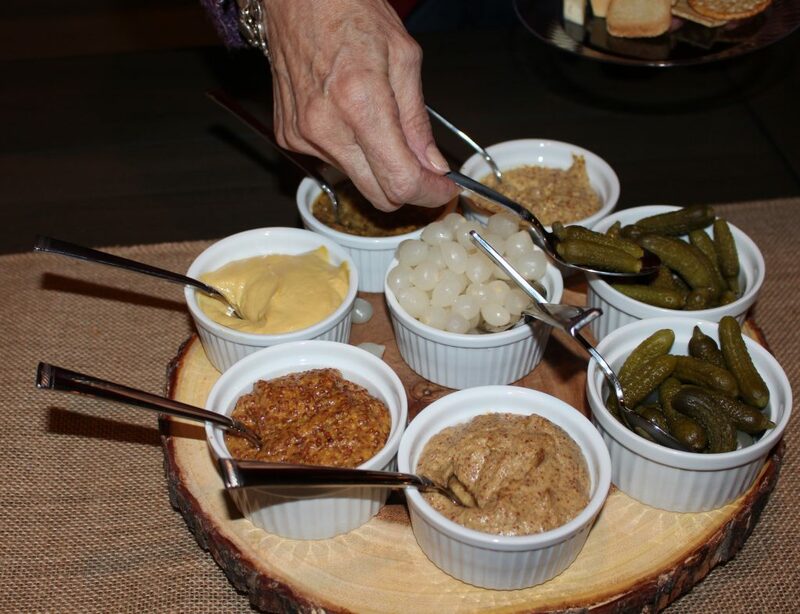 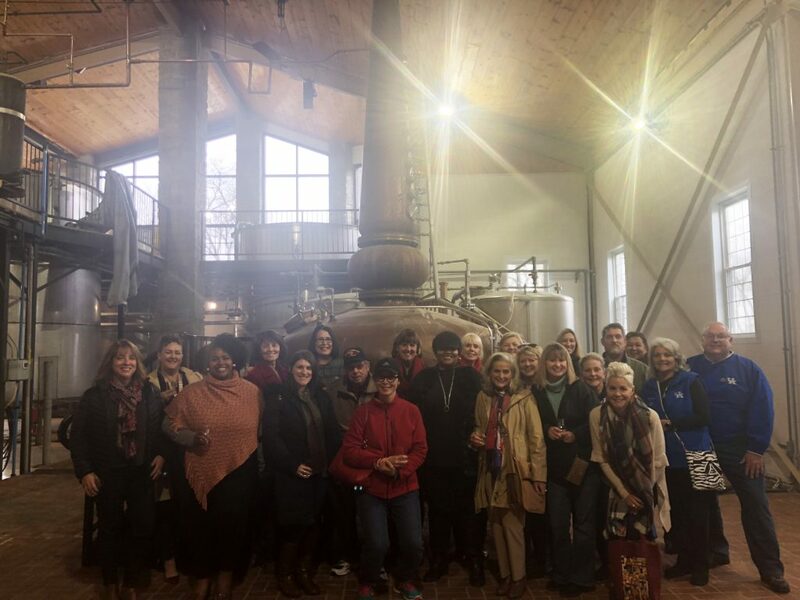 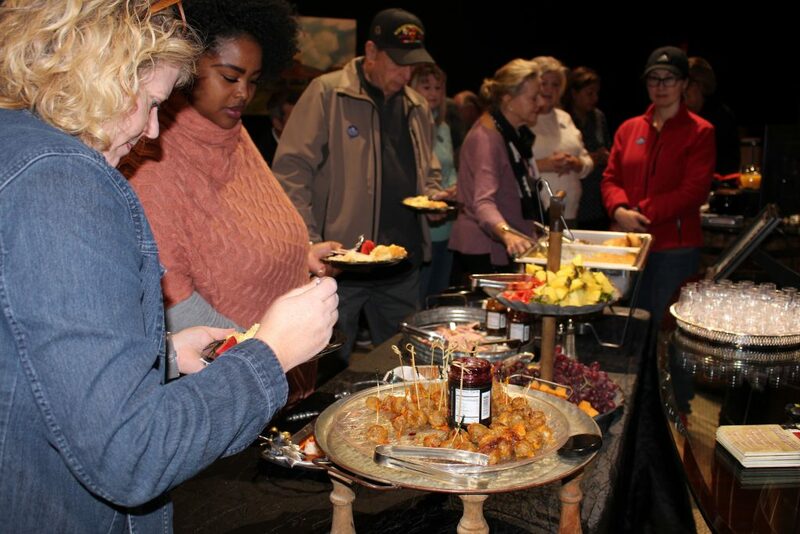 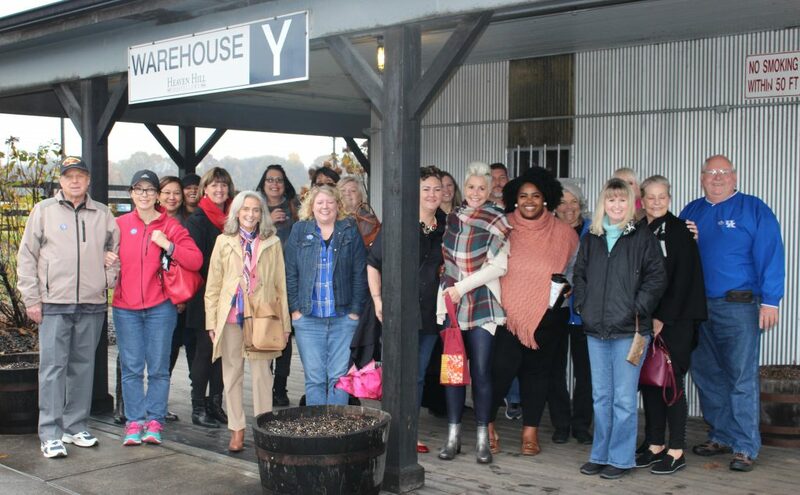 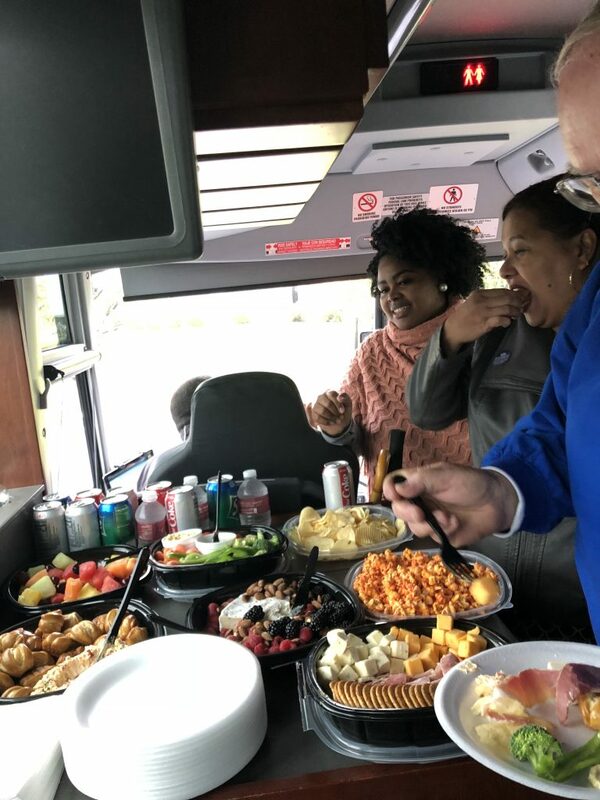 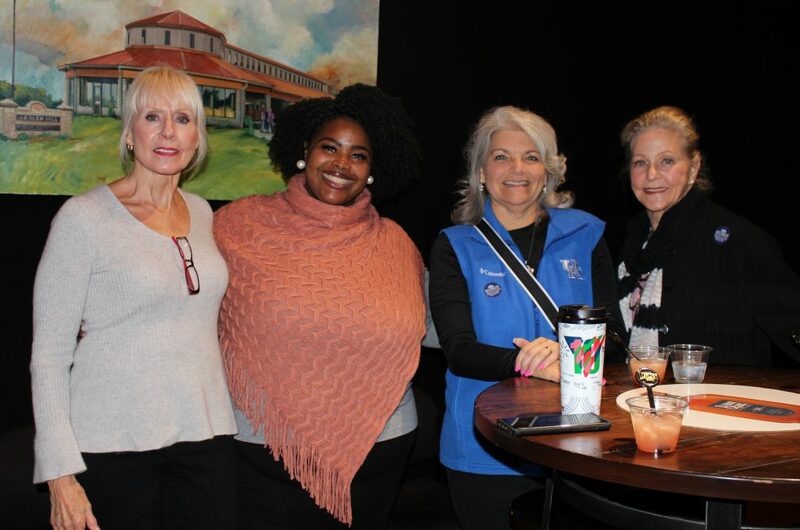 The Whisky Chicks were invited to partake in a specially prepared brunch and a VIP behind- the-scenes tour of the Bourbon Heritage Center. 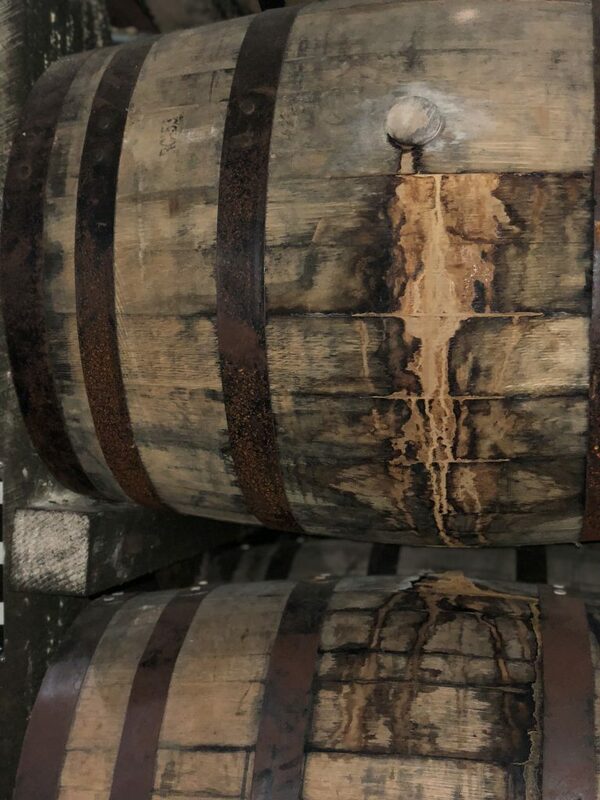 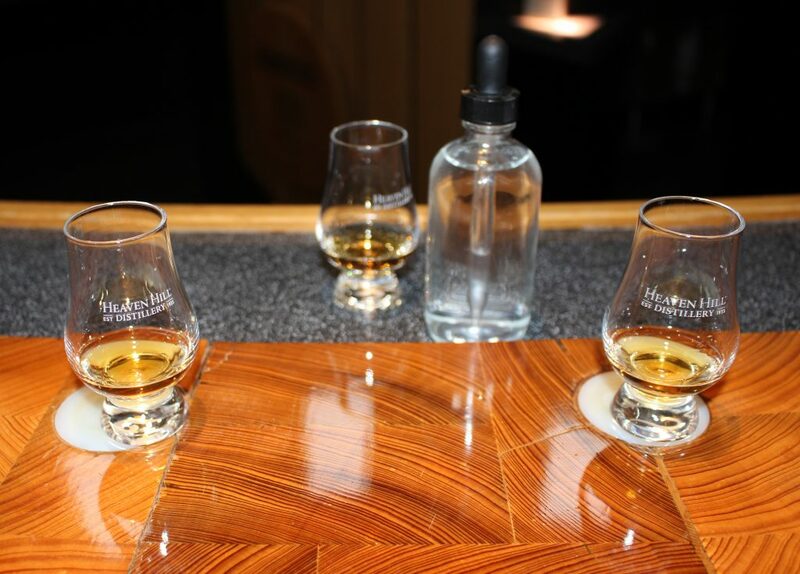 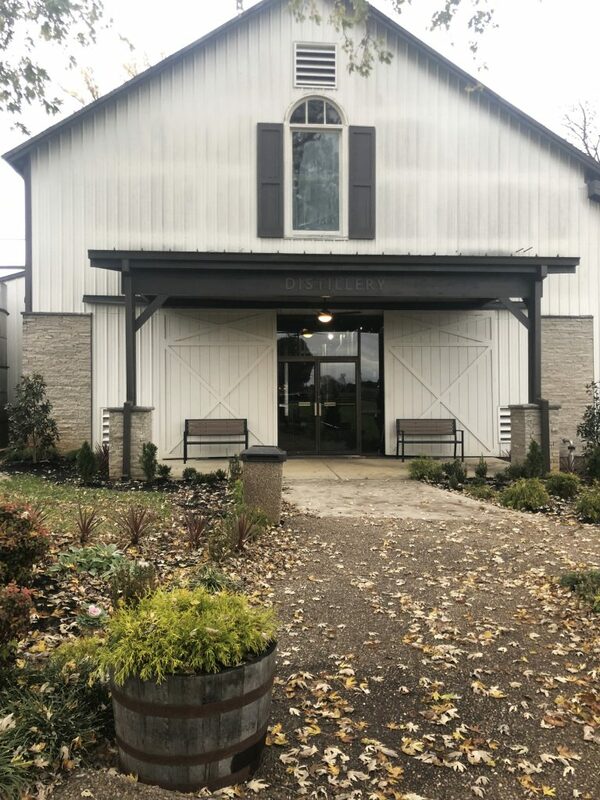 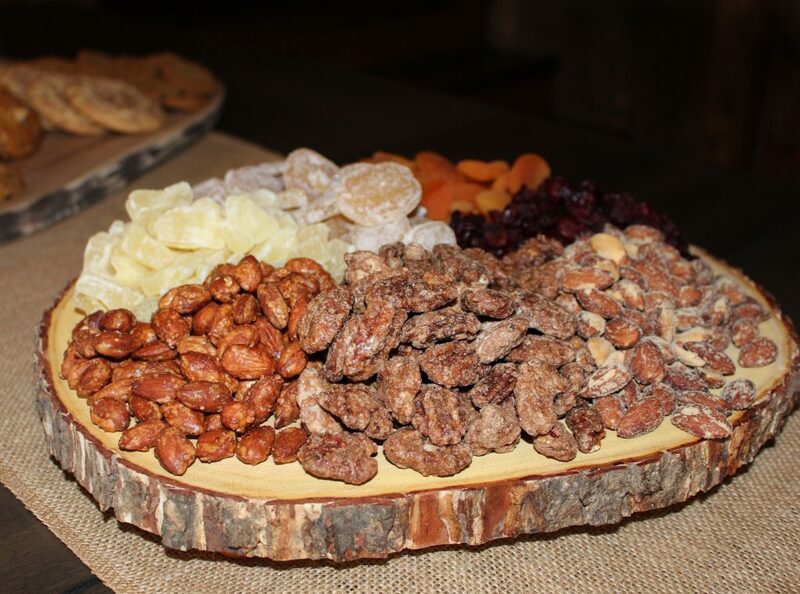 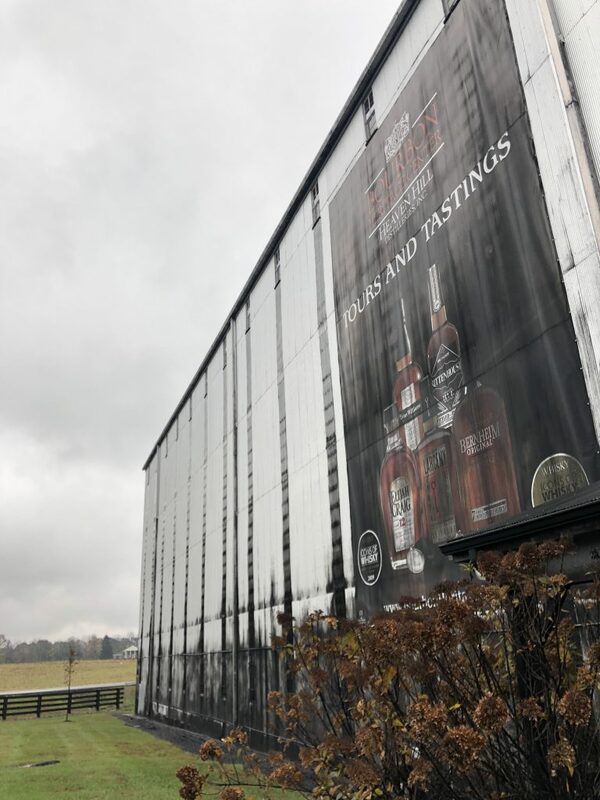 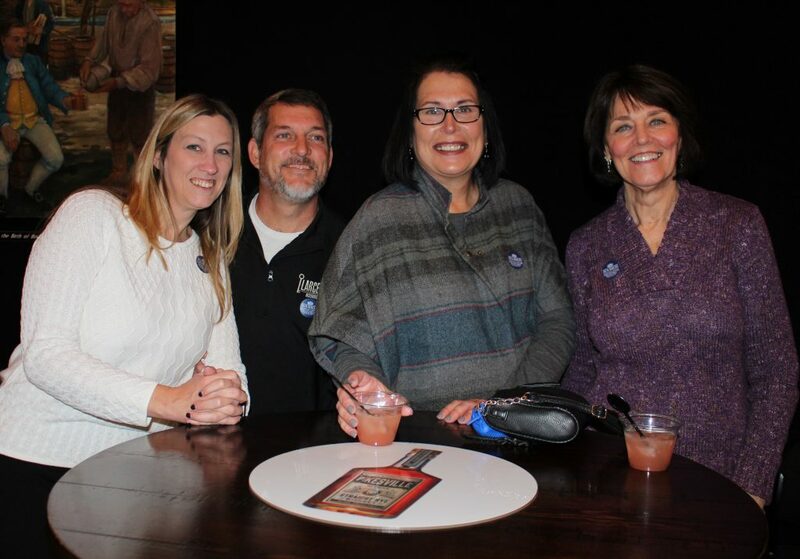 Nestled in the heart of Historic Bardstown, the Bourbon Heritage Center celebrates the history of the industry and provides visitors an immersive American whiskey experience. 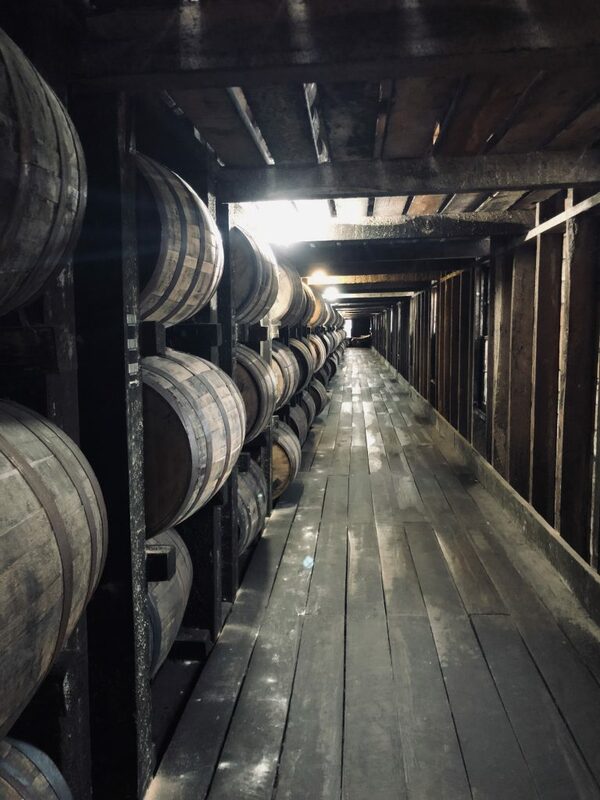 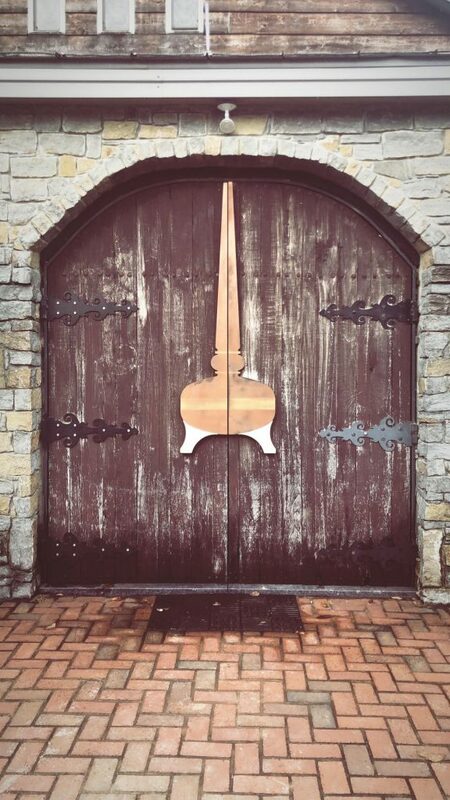 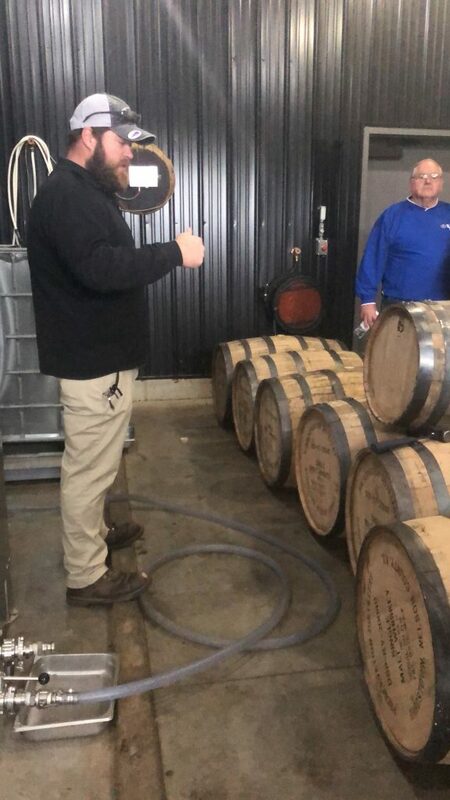 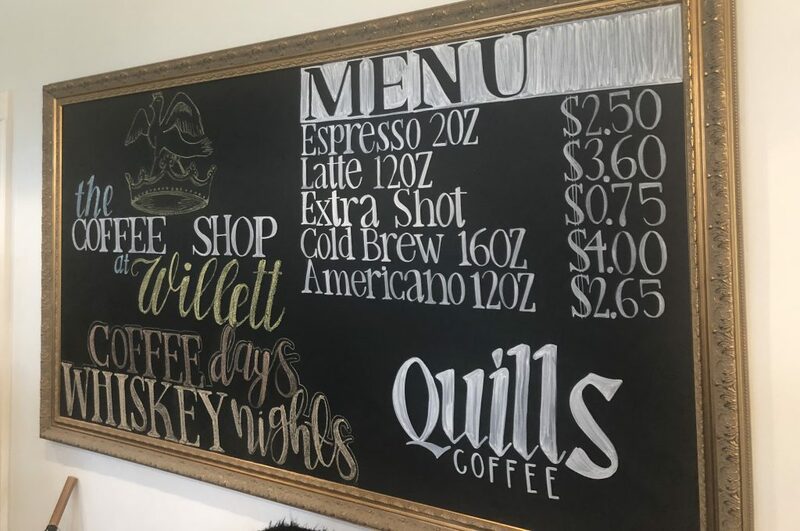 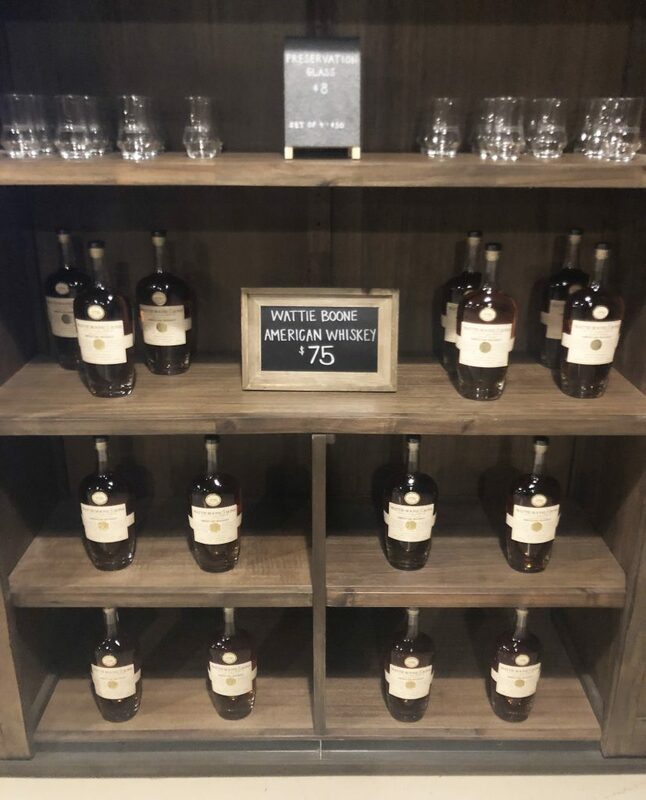 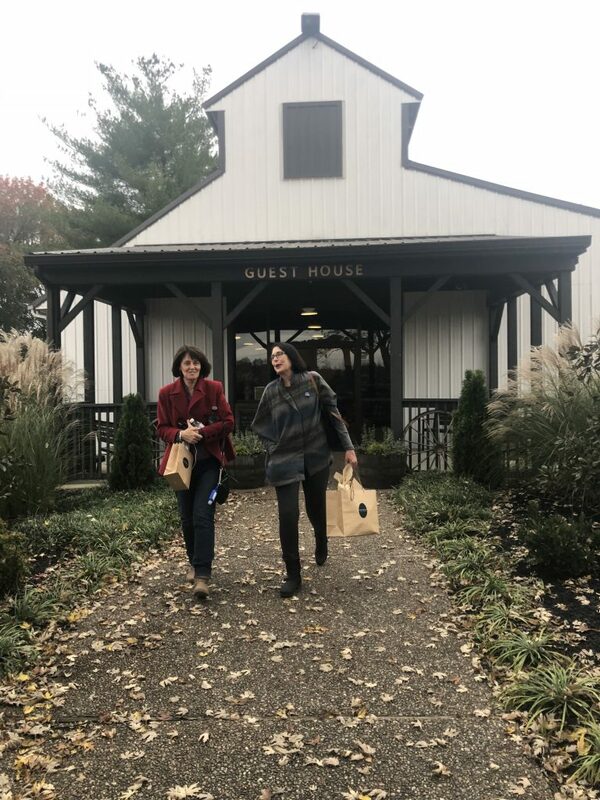 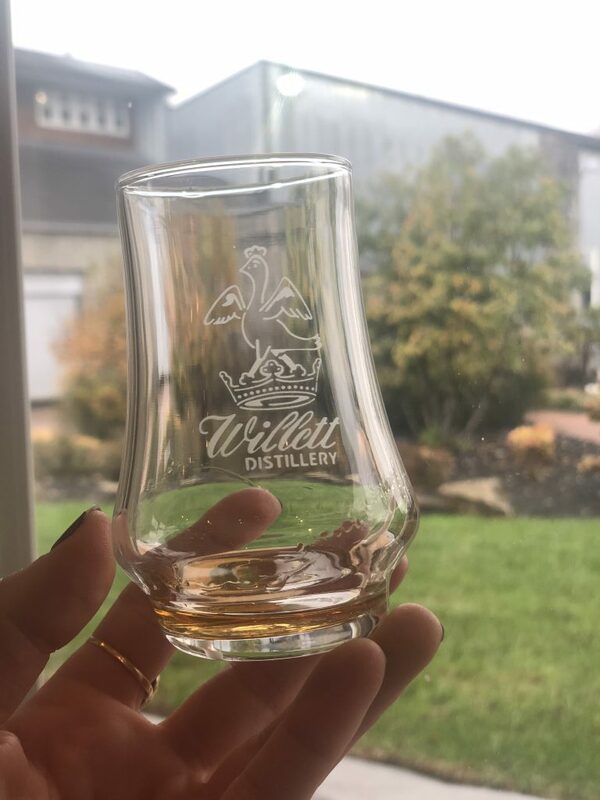 We then ventured to Willett Distillery, a private family-owned and -operated company that produces various brands of bourbon and rye whiskey, ranging from 2 years of aging maturity all the way up to 28 years. 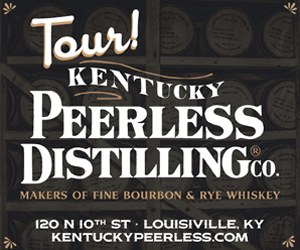 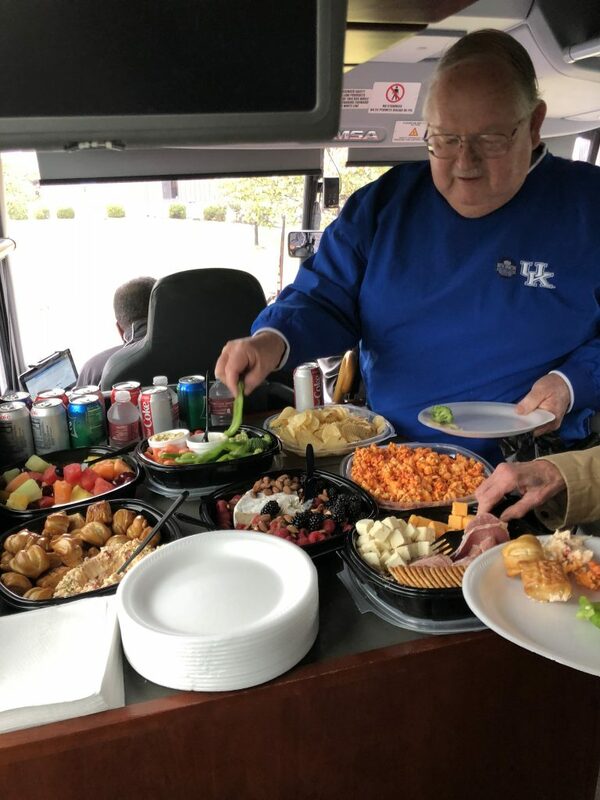 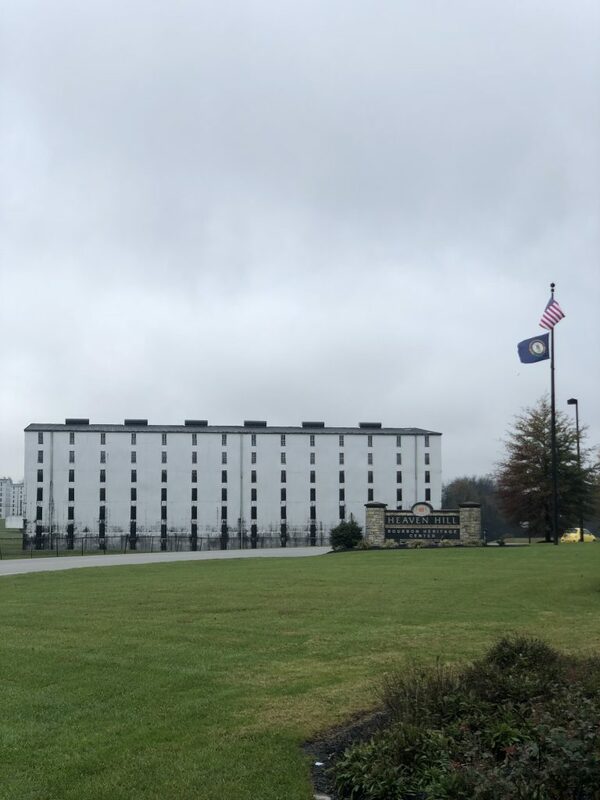 The company is located on the outskirts of Bardstown, Kentucky (a hop, skip and a jump from Heaven Hill!) 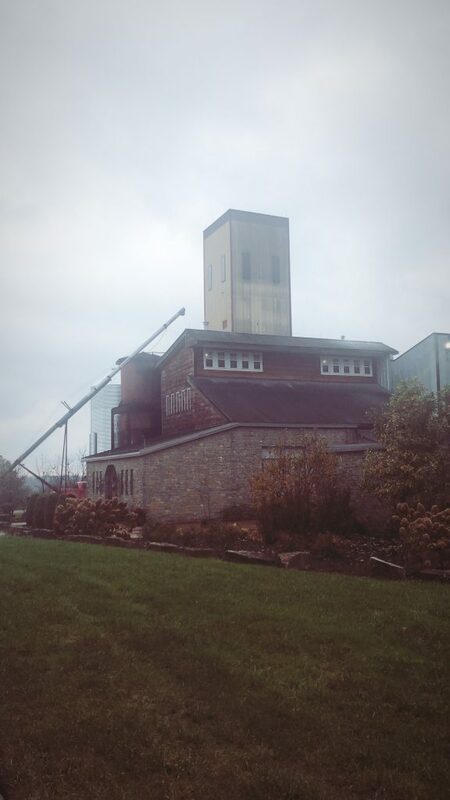 on a site that began as a farm owned by the family. 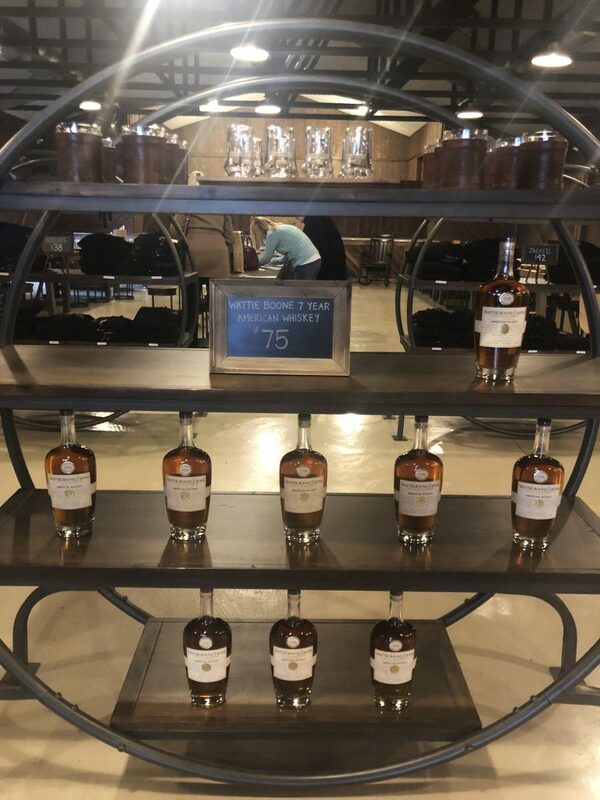 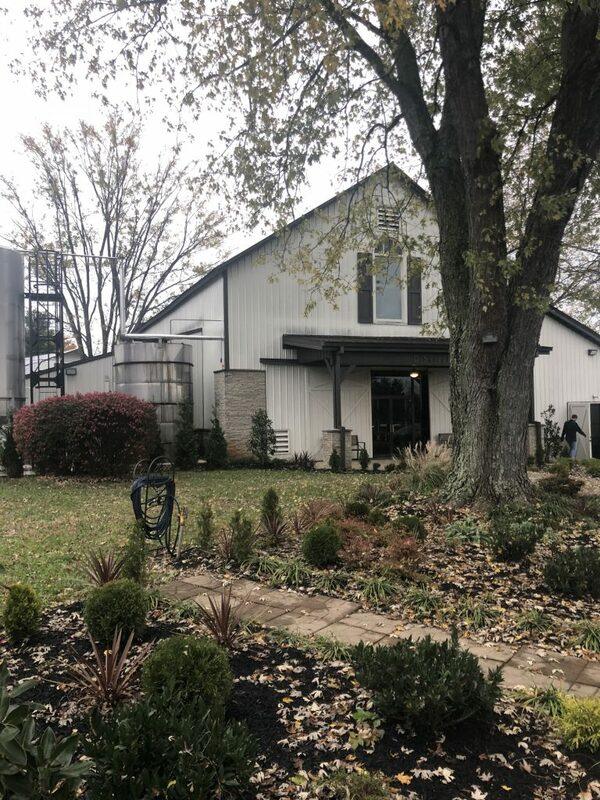 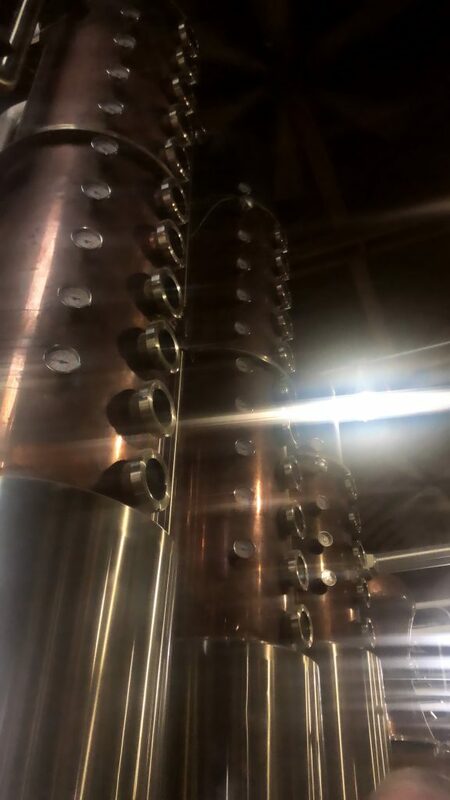 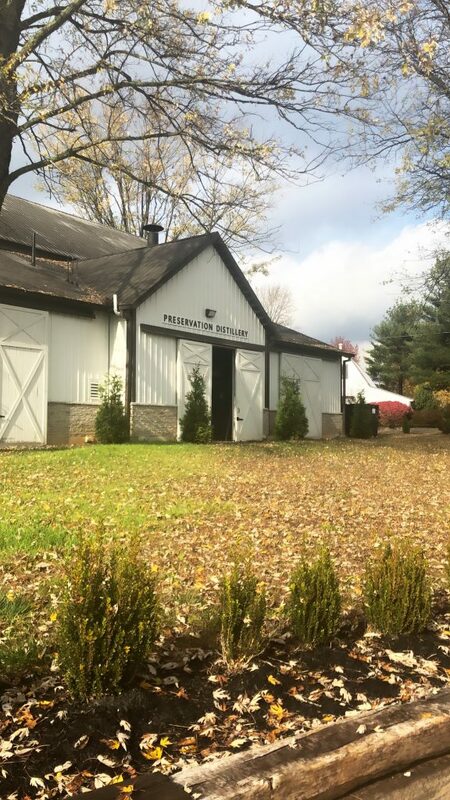 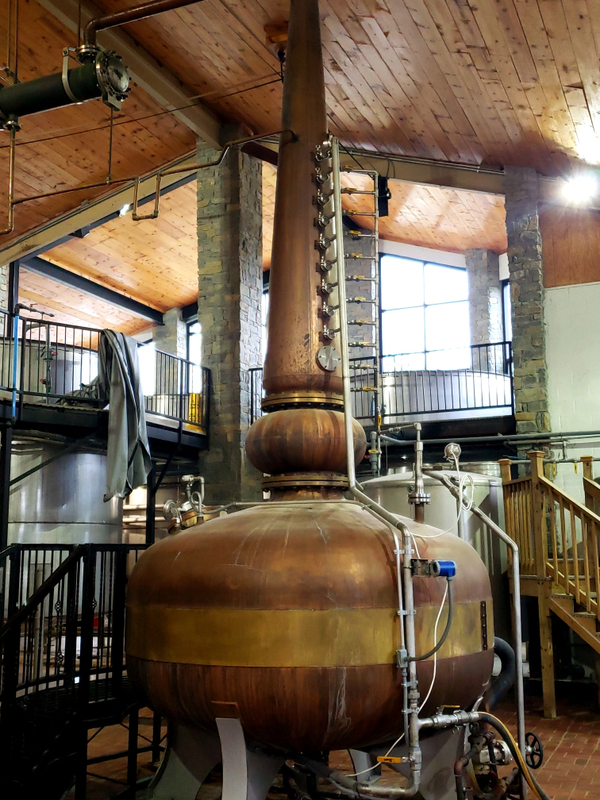 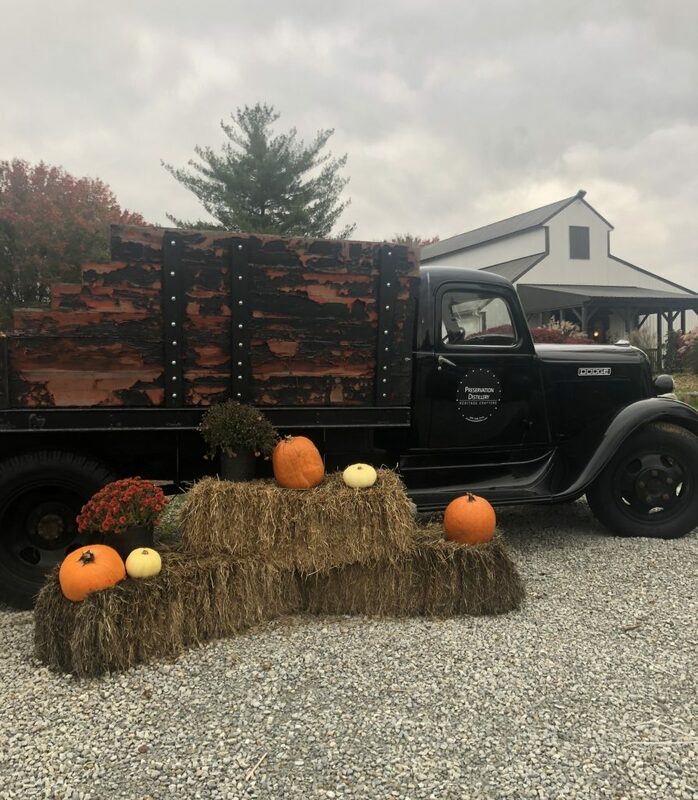 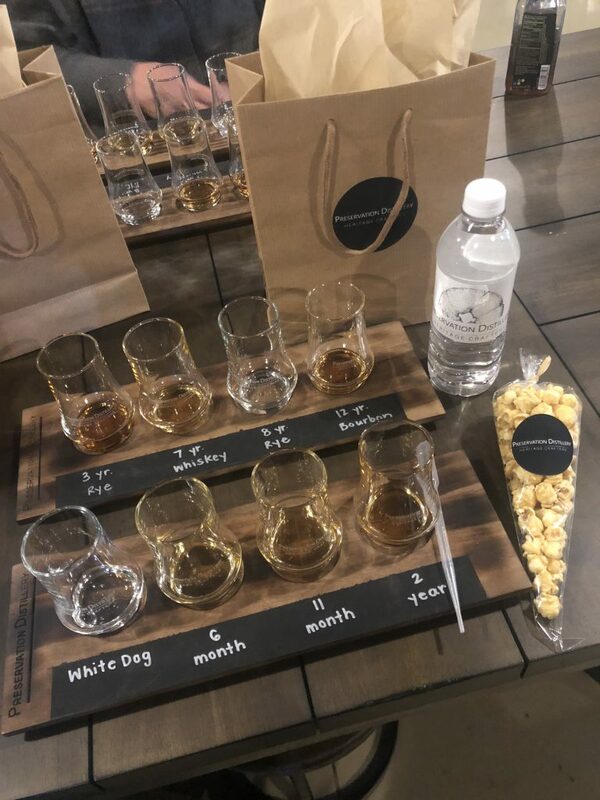 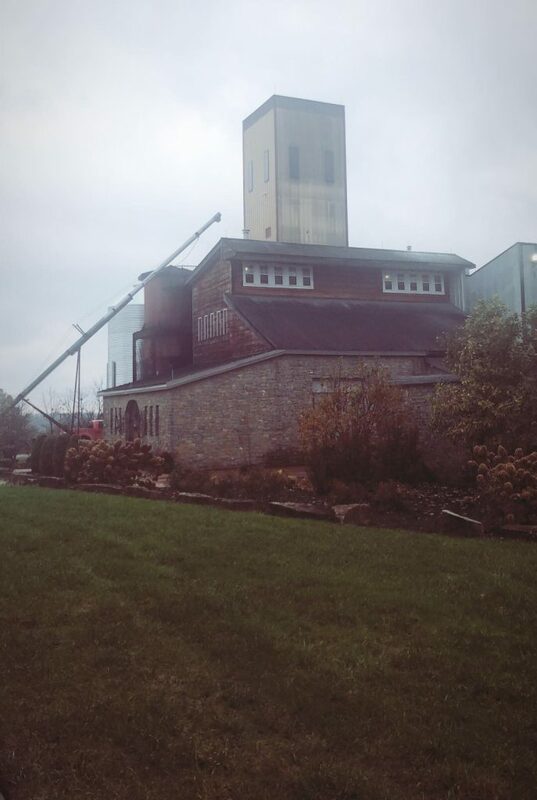 Our last stop landed us at Preservation Distillery, the region’s first 100% pot distilled facility in Nelson County, Kentucky Bourbon’s equivalent to the Napa Valley. 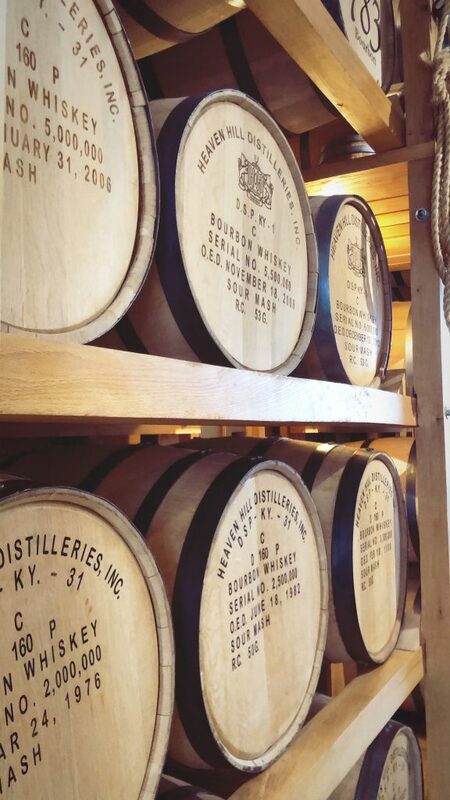 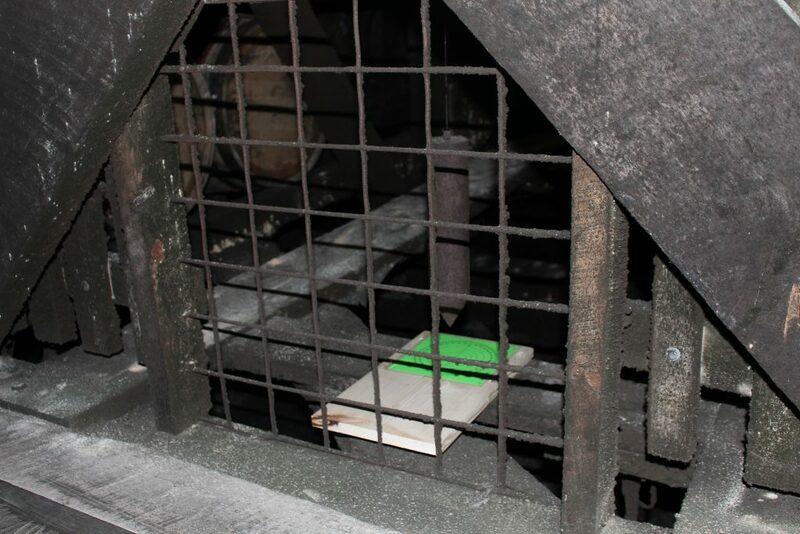 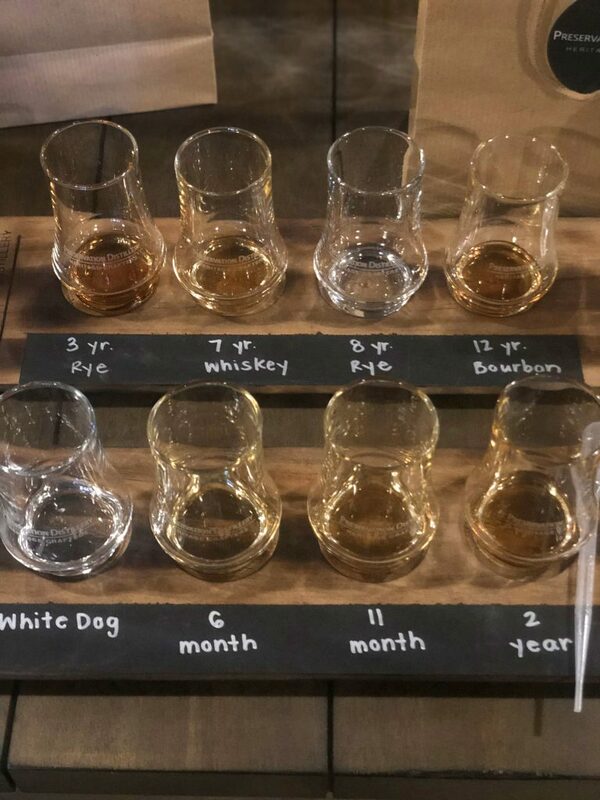 Preservation has been quietly distilling their own, small production bourbon and whiskey in 1-3 barrel batches. 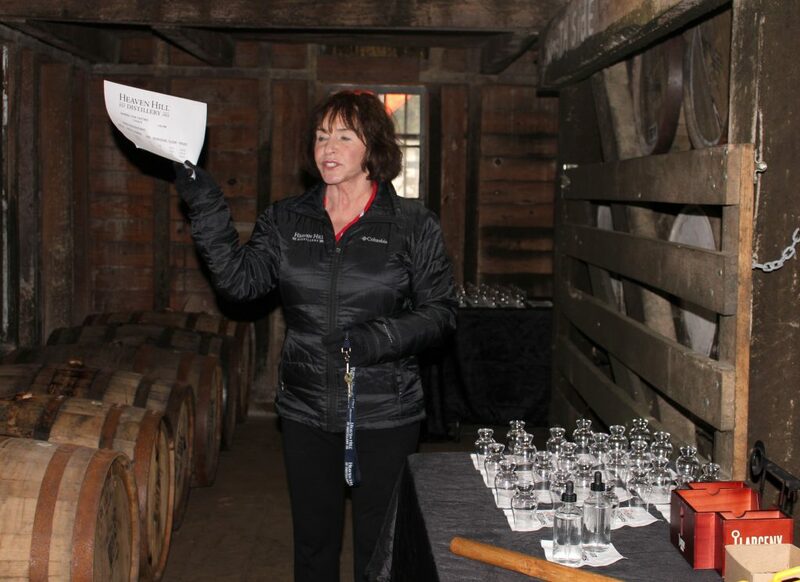 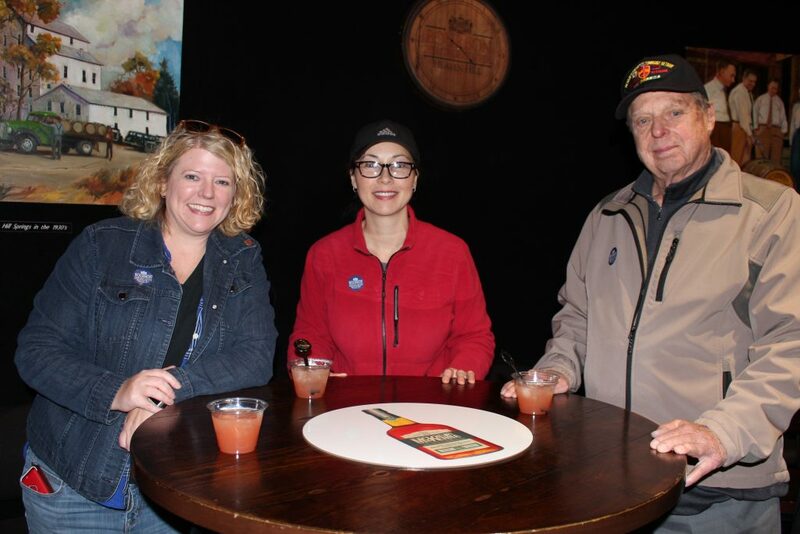 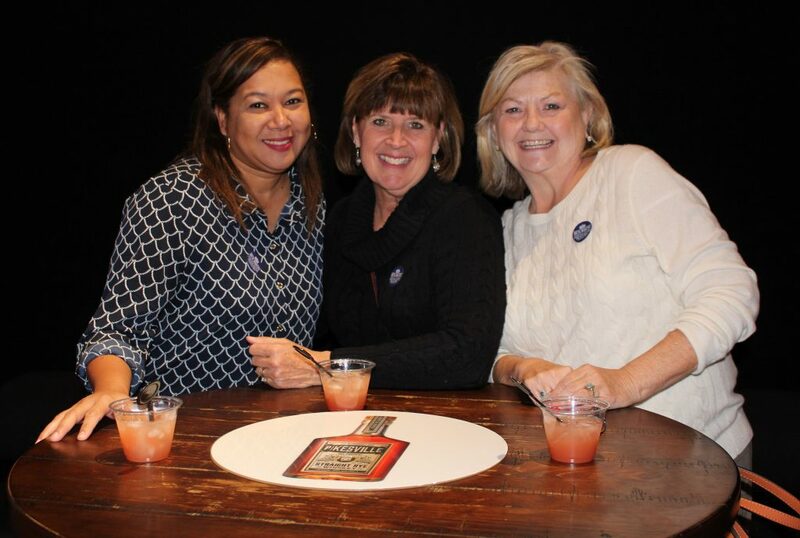 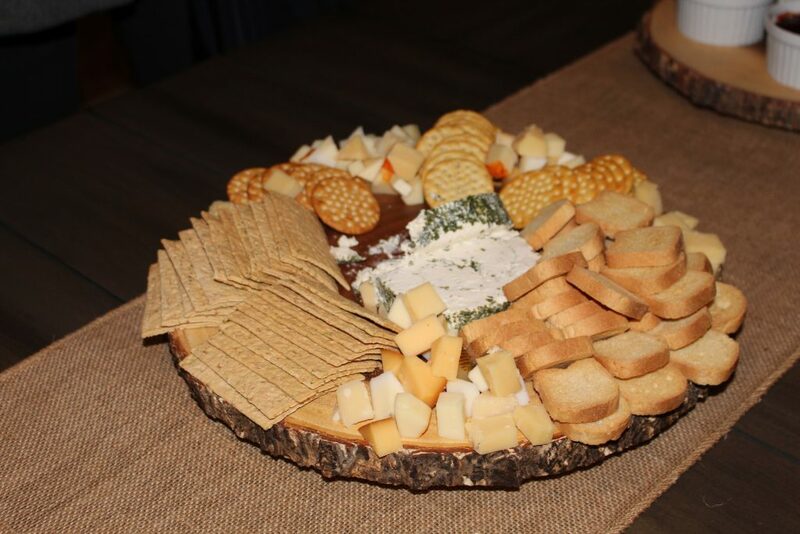 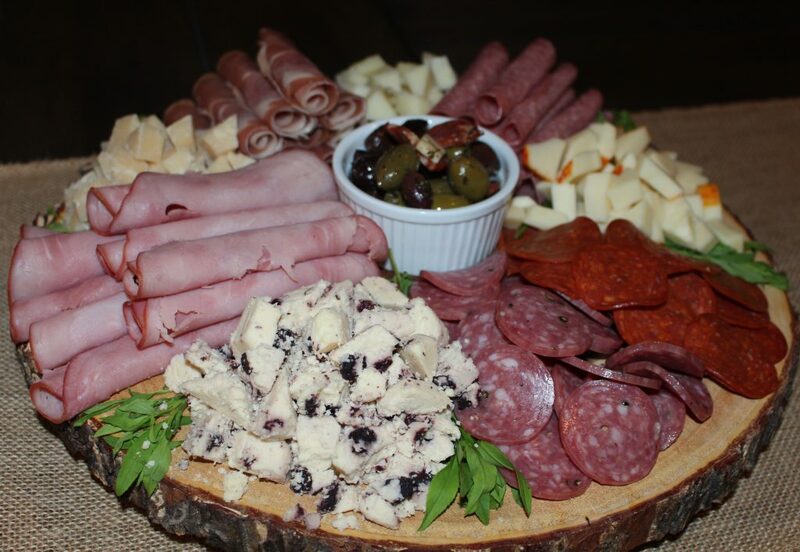 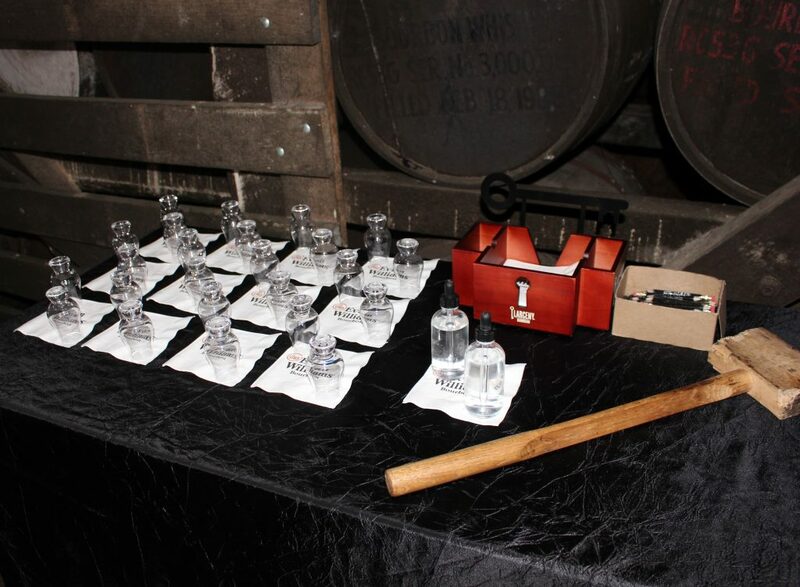 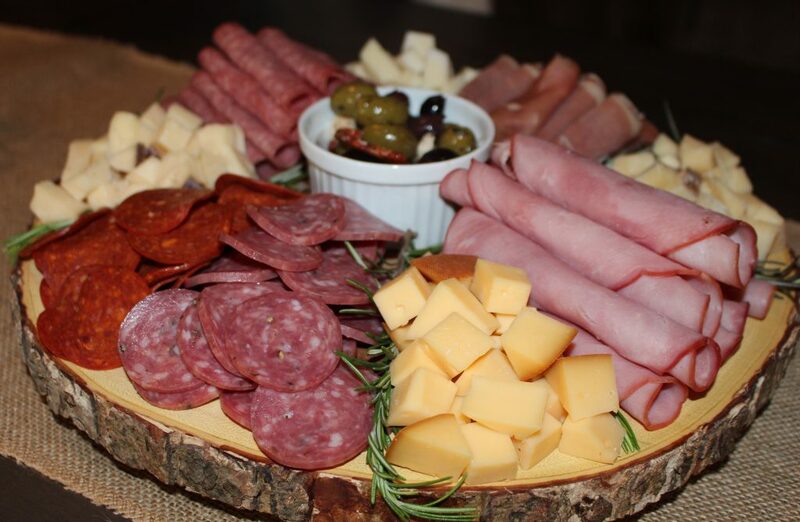 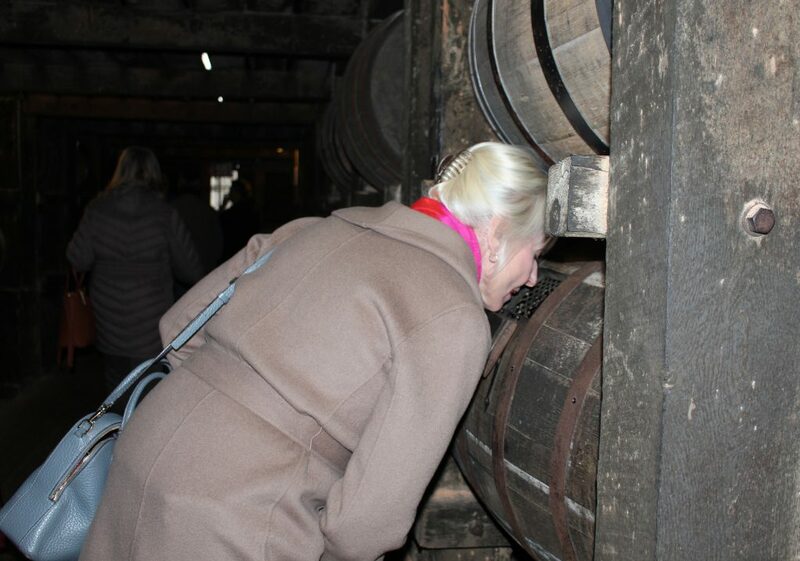 This experience was the most personable and, hands-down, a Whisky Chicks fan favorite!